PULLMAN, Wash. – Social entrepreneur and philanthropist Taylor Conroy will speak to students about leadership in a free presentation 6-7 p.m. Tuesday, March 28, in the CUB auditorium at Washington State University. An iPad will be raffled for free. PULLMAN, Wash. – Faculty and staff are invited to submit proposals for seed grants of up to $25,000 to support student success initiatives at Washington State University. PULLMAN, Wash. – Experiential learning and teaching international students are some of the topics, along with a networking lunch, that will be part of the free Teaching Innovation Forum 10 a.m.-2:30 p.m. Monday, Feb. 20, in CUE 518 and 512. 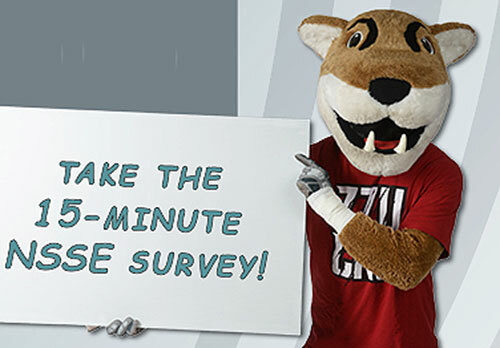 PULLMAN, Wash. – Freshmen and seniors at Washington State University will receive an email Tuesday from Provost Daniel J. Bernardo asking them to respond to the National Survey for Student Engagement (NSSE). Results will be used to help shape WSU programming. PULLMAN, Wash. – A new web-based program will help Washington State University students practice job interview skills, develop interview experience and gain interview confidence in a low pressure environment.